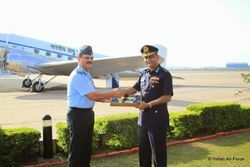 On a formal request from the Bangladesh Air Force and reviewing the historic ties, the IAF today handed over one Dakota aircraft from the IAF museum to the Bangladesh Air Force. 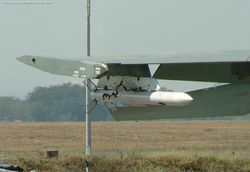 The aircraft was gifted by Air Marshal SS Soman, Air Officer Commanding in Chief Western Air Command to Air Marshal Muhammad Enamul Bari, Chief of Bangladesh Air Force in a befitting ceremony at Air Force Station Palam. 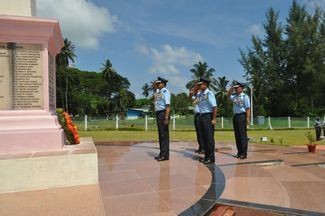 The Dakota aircraft has played a sterling role in the history of the Indian Air Force. 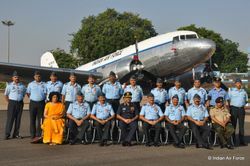 Much nostalgia can be associated with the aircraft as it was one of the pioneers of the transport fleet of the Indian Air Force. 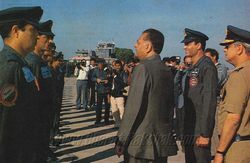 The aircraft played a crucial role in the 1947-48 war and a pivotal role in liberation of Bangladesh and formation of Bangladesh Air Force. 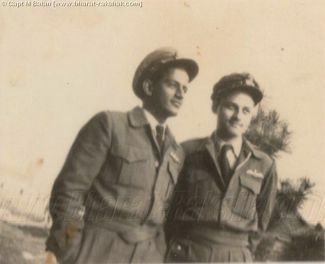 It was the first transport aircraft that landed at heights of 11500 ft in Leh by then Wg Cdr Mehar Singh. 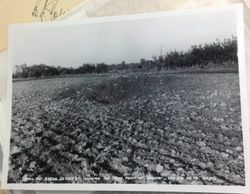 The aircraft was used for transporting troops in Srinagar during 1947-48 war and also for the famous Tangail drop, (the biggest and most ambitious air drop operation since World War II). 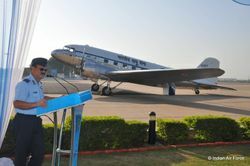 Air Marshal SS Soman, Air Officer Commanding in Chief Western Air Command addressing the gathering during the Dakota aircraft presentation ceremony at Palam on 18 Sep 14.